Technical recruitments are trickier than one may imagine. Whether it is on part of a business seeking technical services or the service providers, they can end up building a wrong or a misfit partnership resulting in the wastage of resources and efforts. At time, there are technical service providers who claim to provide superior services, end up under-delivering and then, there are times when good service providers have to struggle through unreasonable demands of the businesses resulting into inefficient projects in both the ways. Hiring the right technology team is critical since if you end up hiring a wrong team, it can totally disrupt and even sap energy from an entire organization pushing it back from its momentum. While starting a business in itself is a huge undertaking, hiring an external technical team without yourself having a strongly technical background only further adds to your potential risk as a business-owner. Especially as far as the relatively new technologies are concerned, there is no dearth of technology service providers claiming that they are the best in market and this is what makes it all the more challenging for businesses to find the right-fit in terms of technical partnership. The number of years in the industry, number of projects and the track would tell you mostly everything you would need to evaluate a company’s worth. 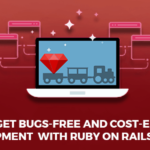 Although Ruby on Rails is a fairly new language, it is always advisable to go with companies who have worked on Ruby on Rails from its nascent stage. Checking out portfolios, case studies will give you a fair idea about the capability of the company. A company with a diverse collection of successful projects under its wings are always safe bet to go with. If you are unable to judge the technical expertise of a company, you could always take help from your friends or advisors. Help them draft you a set of questions or bring them on board until the hiring is done. Also request the said company for a road map of the project as that would give you some ideas about their approach, process and delivery of the project. Even if you don’t know much about technology, you definitely know about your own business and you would have some ideas on what results you expect from the technology partner. Discuss with them to see how committed they are to provide you with sustainable solutions, quality services and whether they have a result based mind-set. If the service provider can furnish good references from its previous clients, they most probably are a safe bet to go with. If you are still not satisfied, you could always ask to speak to one of the references to know their experiences and based on that make an informed decision. This is especially true in case you are going with an off-shore partner. They should be able to understand your requirement and give you a proper solution. They should also be reachable at all times. Go with a company with presence in different geographic locations and have touch-point where you are based at, in case you want to have an inter-personal discussion. It is always a good idea to check the process they follow and whether they are agile. Also, check for the time factor. Whichever company you choose should follow standard industry practices and have a strict quality control methods. It is also a good idea to go with ISO certified company. Having a businessman yourself, judging the business acumen may be right up you alley. Remember that it is not just about the technical expertise and years of experience that matters but what matters most is the integrity and acumen of a business. Have a discussion to understand about the company and their approach towards business and clients. Ask a lot of questions and only after you are satisfied then go with the company. 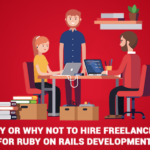 These are the 7 most important points to keep in mind while hiring any ruby on rails development company. 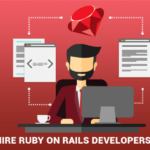 At RailsCarma, we have been offering Ruby on Rails web application solutions right from the days of the nascent stage of the Rails Technology. 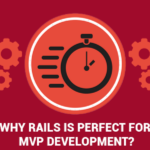 We are involved in executing Rails projects from end-to-end and with our skill and talent in development, training and deployment, we have been actively contributing back to the Rails Community. With market-proven technical leadership built through our consistent delivery of awesome customer experiences, we have established our brand as an effective end-to-end provider of Rails Consultation, Architecture, development and project management, catering to global businesses. 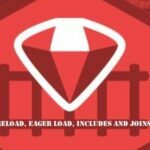 We’re also recognized as a top Ruby on Rails Company on DesignRush. Contact us to learn more about us.